Jeanette A. Griver, Psychologist and Consultant at Compsych Systems Inc., has been recognized by Marquis Who’s Who Top Health Care Providers for dedication, achievements, and leadership in Psychology. 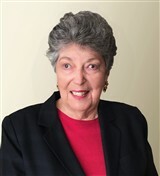 Ms. Griver has been the chief executive officer of her firm since 1962, and a consultant for several organizations on the topics of human factors and problem solving. She launched the company while serving as president of the human factors division of her husband’s company, Jan Engineering Electronic Components, and attributes her success in entrepreneurship to persistence, having patience, and putting in the due diligence to nurture a good idea. Ms. Griver is also proud of the many books on dogs, and has written such works as “Curio a Shetland Sheepdog Meets the Crow” and “Curio a Shetland Sheepdog Meets the Cat.” Ms. Griver is a Marquis Who’s Who Industry Expert and a recipient of the Albert Nelson Marquis Lifetime Achievement Award, appearing in the pages of Who’s Who in America, Who’s Who in Medicine and Healthcare, Who’s Who in Science and Engineering, Who’s Who in the World, and Who’s Who of American Women. Ms. Griver studied psychology at the University of California, Los Angeles and earned a MA in human factors psychology from the University of Southern California. As a leader of her business community, she was a member of the Pacific Palisades Chamber of Commerce from 1990 to 2003, and a member of the Pacific Palisades Lions Club since 2002. She started writing with professional journals and her memoir, “Curio, Journey of a Woman Entrepreneur” as well as technical books such as “Applied Problem Analysis Plus” in 1988. In 2000, Ms. Griver revived her writing with “Oh No! Not Another Problem” and has continued to be a prolific author. In addition to business leadership and consultation, Ms. Griver is a member of the International Association of Nanotechnology and was named secretary of the Human Factors and Ergonomics Society in 2003. She became president of the Pacific Palisades Lions Club in 1990. Ms. Griver’s company provides measurable motivational systems, giving people the tools to measure their own communication behaviors. She is proud of starting her company at a time when it was rare for women to be entrepreneurs. In her free time, she enjoys travel and tennis.